Despite decades of efforts to increase the participation of women and people from underrepresented minority groups (URM) in science and math majors and careers, and despite the increasing diversification of the US population as a whole (Planty et al in National Center for Education Statistics, Institute of Education Sciences, U.S. Department of Education, Washington, DC, 2008), participation in STEM majors and STEM careers (including STEM teaching) remains stubbornly male and white (Landivar in American Community Survey Reports, ACS-24, U.S. Census Bureau, Washington, DC, 2013; National Science Foundation and National Center for Science and Engineering Statistics in Special Report NSF 15-311, Arlington, VA, 2015). 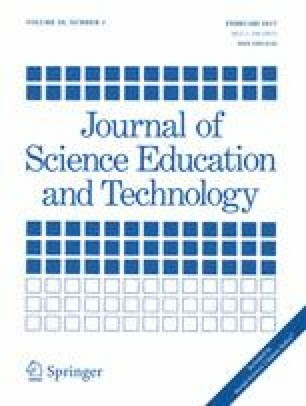 This paper describes a project with two central goals: (1) to provide opportunities for URM high school students to engage in authentic science and math inquiry with the support of skilled college undergraduate mentors in the hope that these experiences will encourage these high school students to choose and persist in pursuing careers in STEM fields and, even if they do not choose those careers, to feel confident making complex, science or math-based decisions in their everyday lives and (2) to help the mentors (young people, mostly STEM majors) see teaching as a vital, intellectually challenging career that can provide them the opportunity to work for social justice in their communities. While it is unlikely that any one experience will help young people overcome the long odds that face them as they consider either path, our analysis suggests that projects of this kind can make a meaningful contribution to the effort.